Does Chronic Pain Cause Insomnia? Chronic pain isn’t something that always goes away when you’re trying to get a good night’s sleep, especially if you’re being treated by a Los Angeles spine surgeon for pain related to your spine or your pain radiates from other parts that tend to move as you attempt to catch some sleep. Muscle-related chronic discomfort can be just as disruptive. According to one estimate, 65 percent of patients who have some type of chronic pain also have sleep disorders that may involve repeated sleep interruptions and nonrestorative sleep. Does chronic pain cause insomnia, or is it the other way around? One study suggests being regularly interrupted while sleeping increases susceptibility to pain. Researchers speculate this is because of the way the body’s natural internal systems are altered. Normally, deeper stages of sleep contribute to the natural healing process. The theory is that it may be more difficult for the body to control pain if normal sleep patterns are repeatedly disrupted. Specifically, researchers attempted to find some answers by studying 32 women over a one-week period. A control group was permitted to go to sleep as they usually do. Some of the women were awakened several times during the night. The last group went to bed later than the usual time. Toward the end of the study, two of the groups went without sleep for 36 hours, which was followed by nearly 12 hours of recovery sleep. Researchers tested the pain thresholds of the subjects. The women who were repeatedly awakened showed an increase in spontaneous pain. However, the women in the groups that weren’t awakened didn’t show any noticeable increases in pain, which suggests interrupted sleep affects the body’s internal pain control regulation. It’s believed that these internal mechanisms play a role in how well pain is tolerated and how it’s experienced. It can also be helpful to sleep on a comfortable, supportive mattress and avoid certain foods and strenuous activities before bed that could contribute to an uptick in inflammation and soft tissue stress. Another step you can take when it comes to chronic pain that may be affecting your ability to stay asleep is to check in with your doctor. You may notice improvements in your ability to sleep if you get an accurate diagnosis of the source of your chronic pain. It’s just as important to provide honest feedback about how you’re responding to treatment efforts so appropriate adjustments can be made. Some causes of spine pain can be treated with surgical procedures such as fusion procedures or alternatives to spinal fusion. 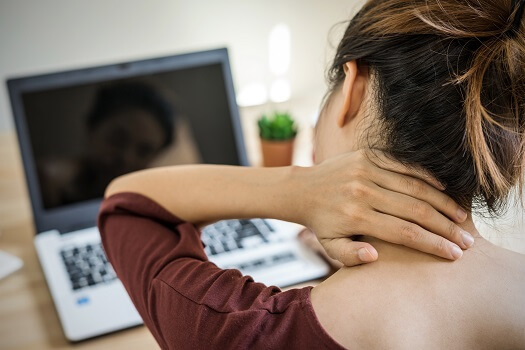 Los Angeles residents who are experiencing chronic spinal pain should reach out to the experts at The Spine Institute for diagnosis and treatment. To talk to one of our friendly representatives and schedule an appointment, give us a call at 310-828-7757 today.